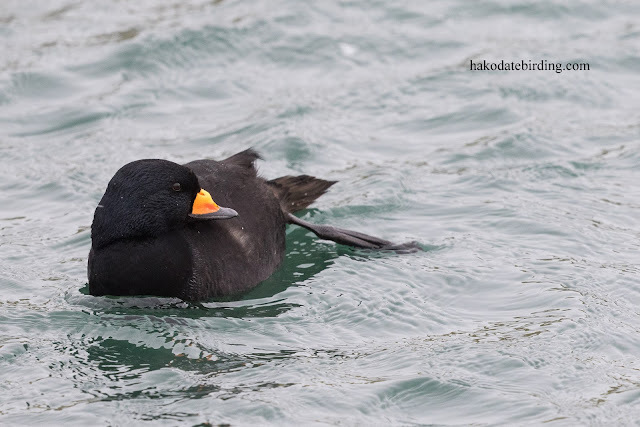 It was a grey blizzardy/sleety/rainy late winter's day and we headed north past Yakumo. 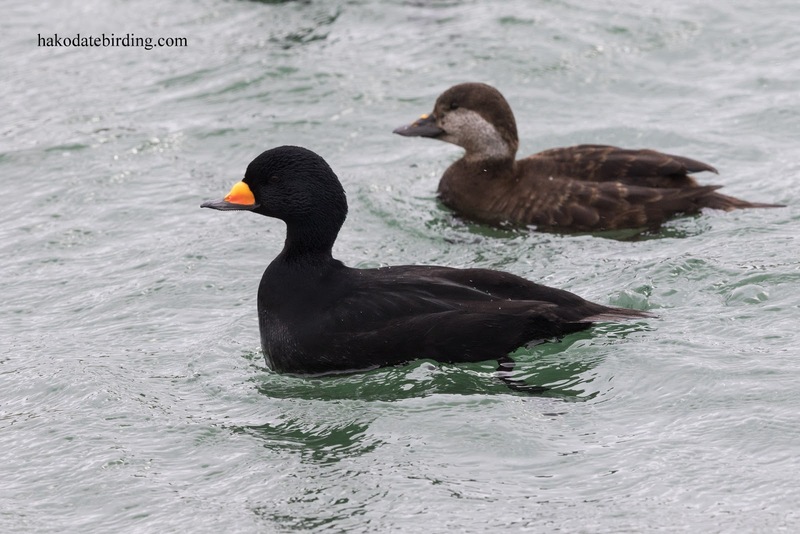 One of the ports had a flock of Black Scoter in the corner, one of my favourite winter species. There was a bitterly cold wind and intermittent heavy snow, it was also very dark. 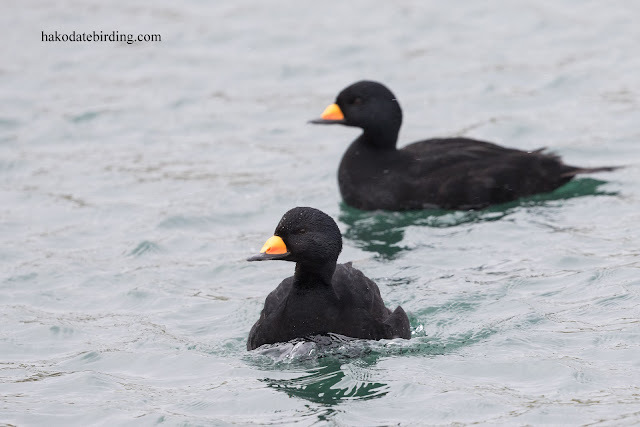 The scoters were sheltering from the wind. 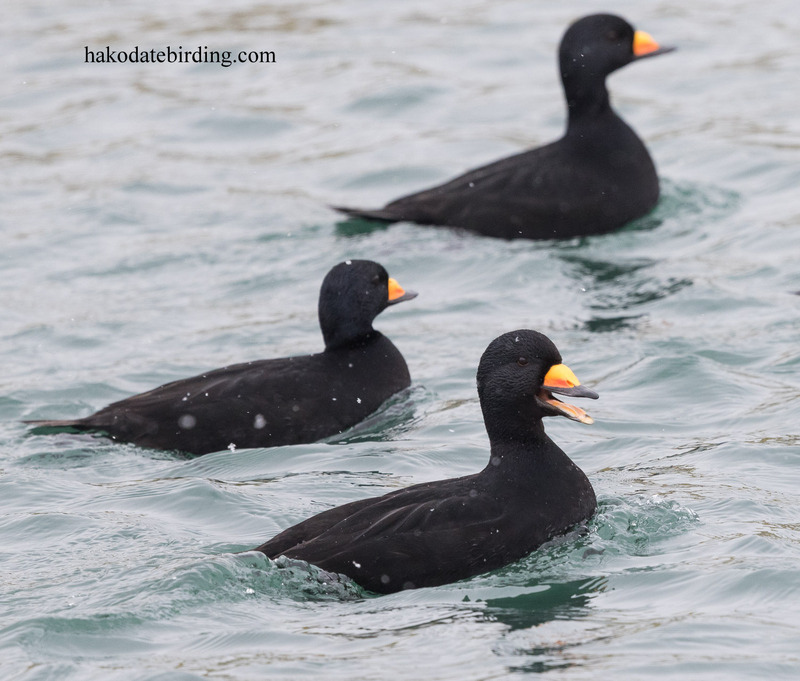 The drake is a great looking bird, there were 6 of them with only 1 female. 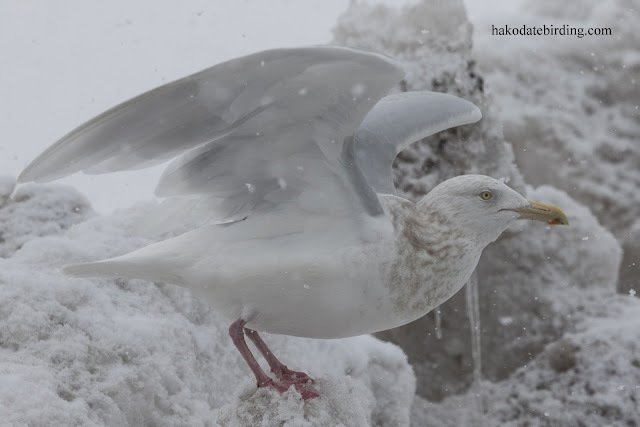 They are generally a bird of the open sea but often visit ports in late winter/early spring. Other stuff around today included Asian Rosy Finch near Shikabe, 2 small flocks of White Fronted Goose flying north, a couple of White Tailed Eagle still at Yakumo, 2 Daurian Jackdaw near Oshamanbe, Black Necked Grebe, Great Crested Grebe (some in summer plumage and displaying), Pelagic Cormorant. Long Tailed Duck, Smew, Goshawk and Great Egret. 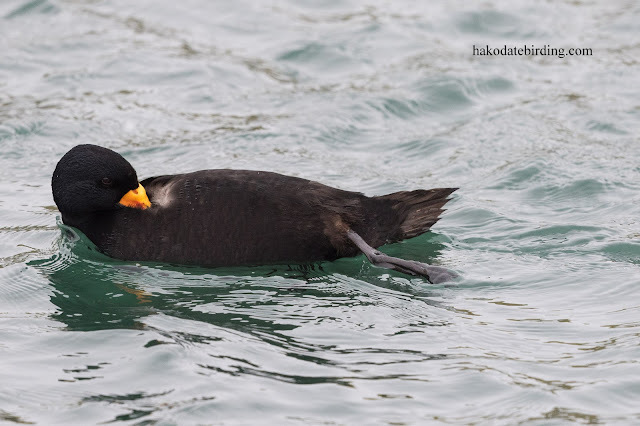 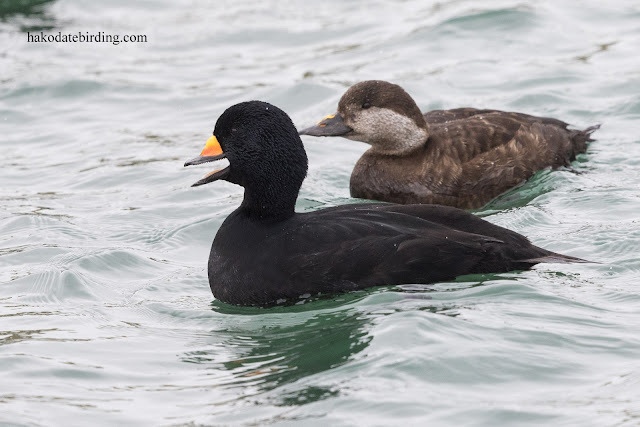 Great coverage of the Black Scoters. 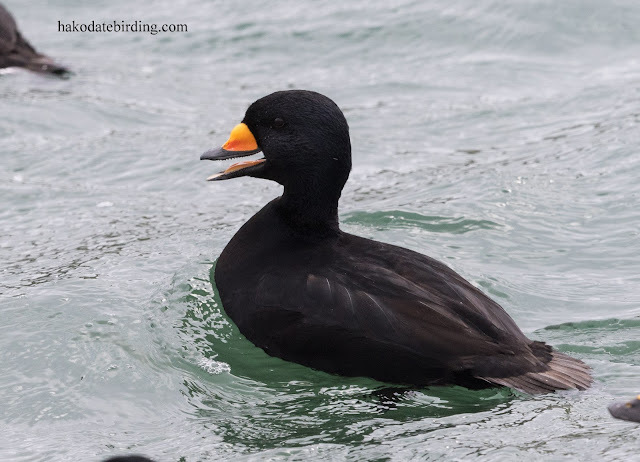 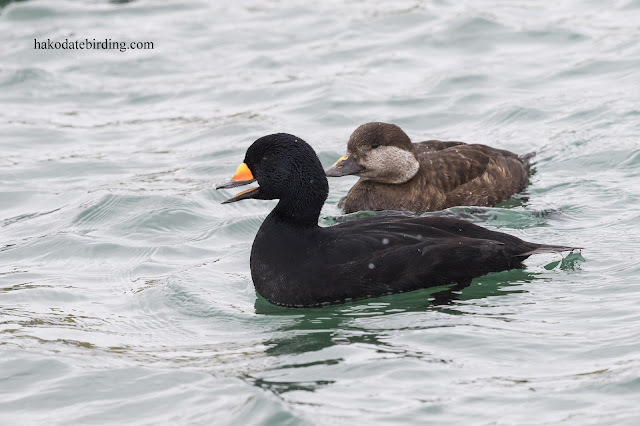 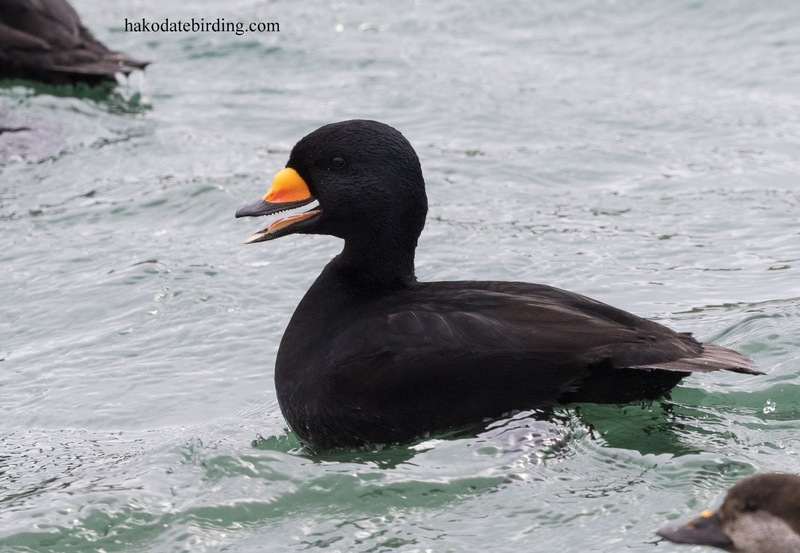 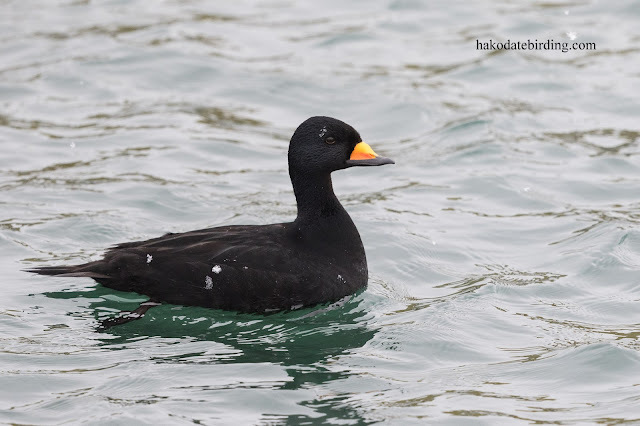 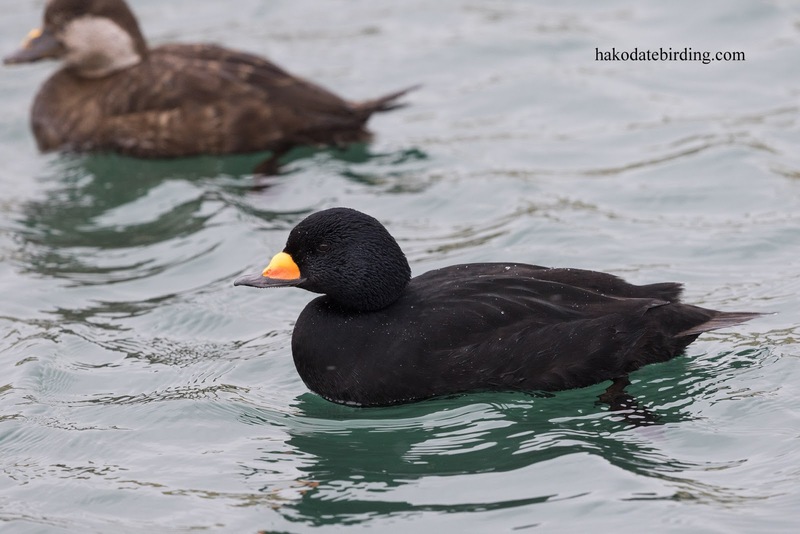 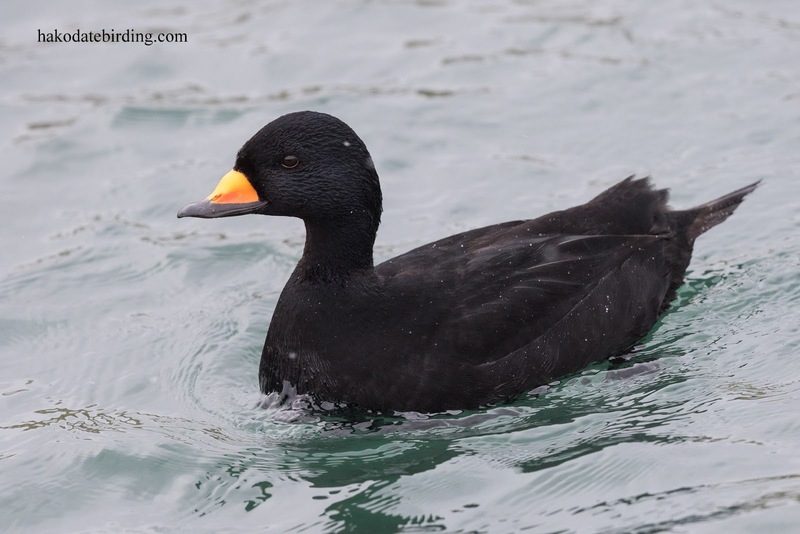 We get three species of scooter in the Great Lakes in winter, Black Scoter being by far the rarest. 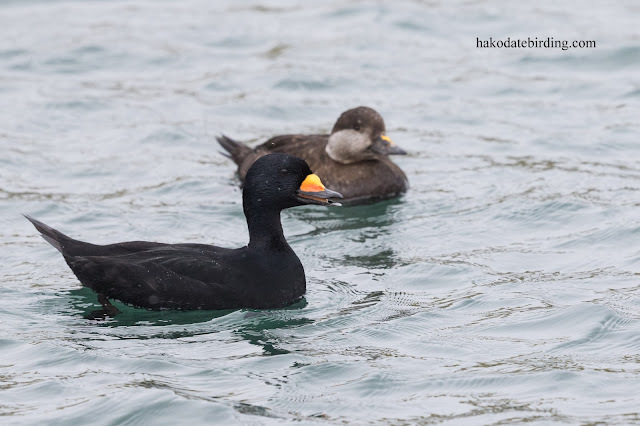 Hi again Stuart: In is only in fairly recent memory that they have been so abundant on the Great Lakes. 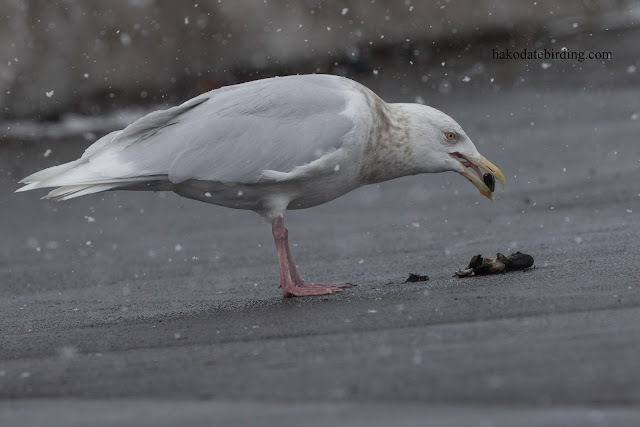 It was the arrival of the zebra mussel, an abundant source of food for them, that triggered their regular winter occupation. 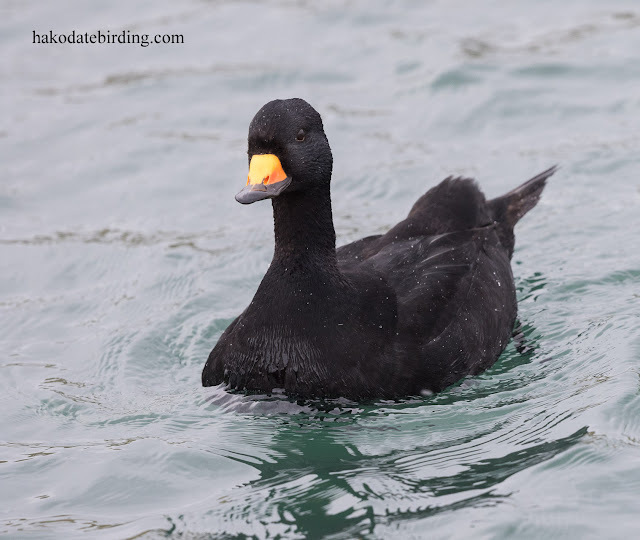 The male scoter does look nice and you managed some great close-ups. 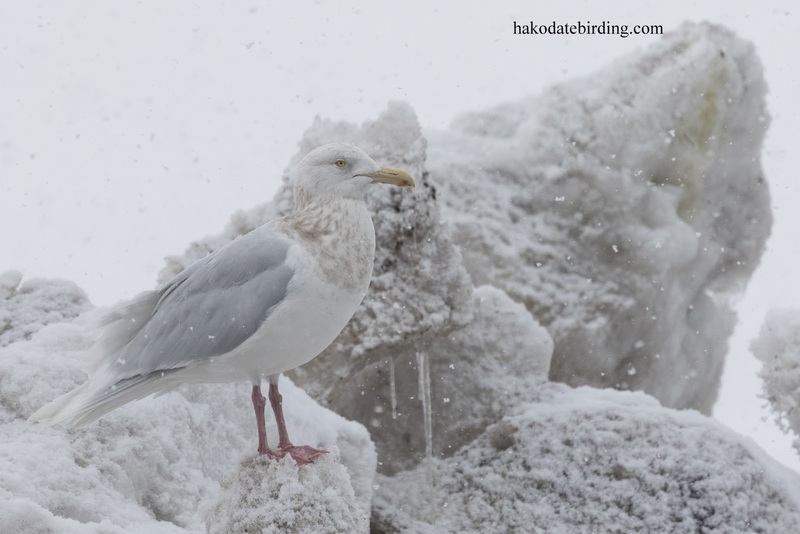 It was cold here but the light is hinting at spring. 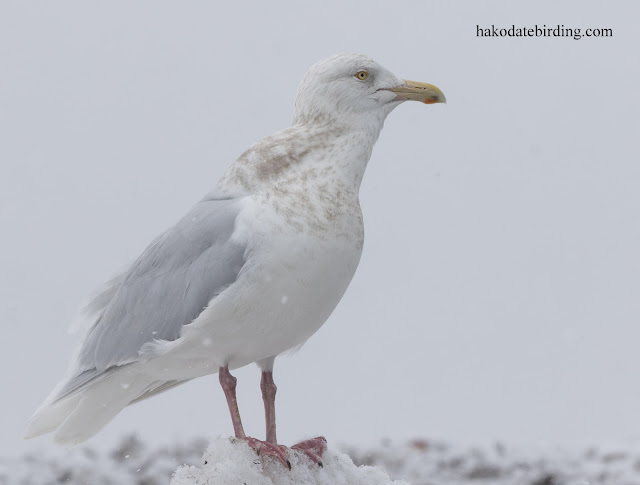 I saw kestrels mating along the shinano and black-headed gulls are beginning to change into breeding mode.